Sleek elegant design to fit into any environment in your home. 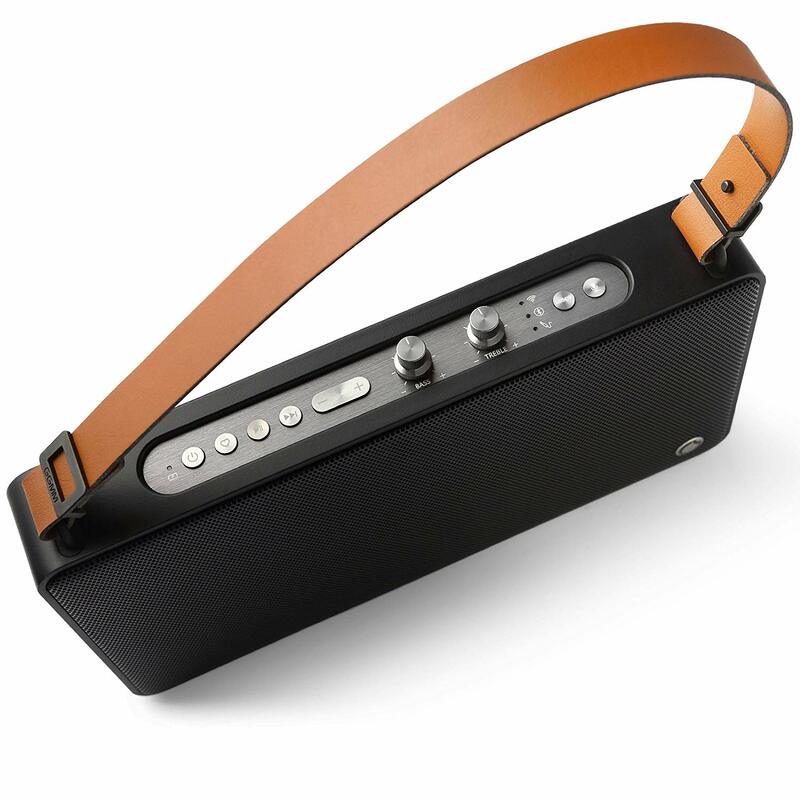 Super slim design 1.5 inch thick speaker makes it a portable speaker, comes with a removable leather strap to take the speaker on the go. The E5 speaker has a built-in battery that lasts up to 15 hrs of playback time and USB port you can use to charge your mobile devices. If you’re in the look for thin, portable, and classy speaker, then probably you should check out this GGMM E5 wireless speaker. The speaker has an appealing design similar to that of a vintage speaker with all the buttons that give the vibe of an old radio that you manually tune up. It has a strap that adds up to the cheeky look and convenient to carry around. Despite the vintage look of the GGMM E5 speaker, it’s still a smart speaker. With Alexa on it, you can control your speaker using voice command like any other Alexa powered speaker. It has a loud sound which is the best feature of this device. A long battery lifespan of up to 15 hours and can connect up to 16 speakers and play same or different music. A cute feature to this is the “favorite button” in which you can long press it to make up to 6 music queued and save to your speaker. There might be a lot of room for improvement to this speaker, but it still worth the pay if you’re into the loud and classy style and branded as Amazon’s Choice.